Wine has been around for thousands of years. But who is responsible for this liquid we know and love today? How did this fermented fruit become such an integral part of our lives? Research now shows that we have Georgia to thank, with grape wine-making evidence dating back to 6000 B.C. More than 8,000 years! That’s at least how long wine has been around, an insight that adds 600 to 1,000 years to what we’d previously thought. 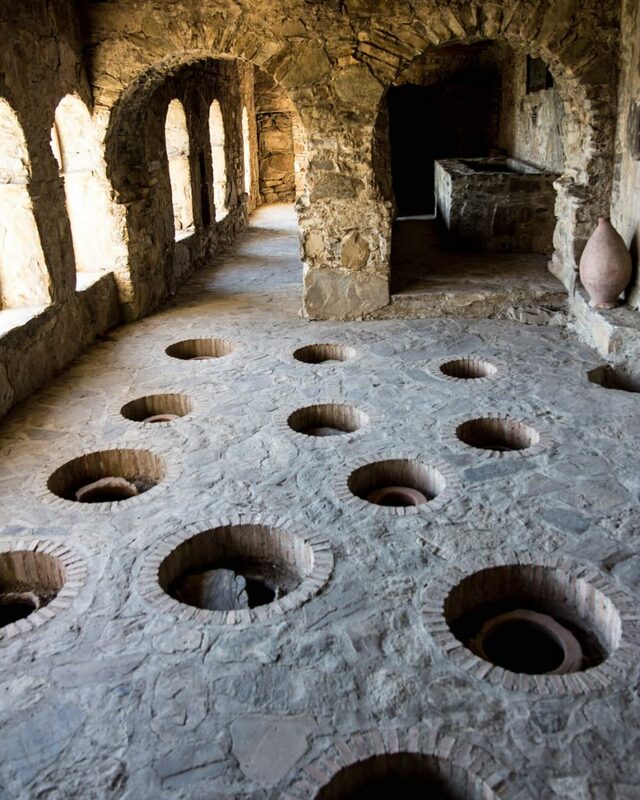 It all started coming together when archeologists found 300-liter clay pots in Tbilisi, Georgia. After analyzing, each showed traces of wine residue: citric acid, malic acid, succinic acid and tartaric acid. Using radiocarbon dating, scientists can guarantee this timeframe within 200 years, putting the world’s oldest proof of winemaking between 6000 and 5800 B.C. All the evidence points to wine. Apart from the organic compounds and botanical evidence, such as the acids and grape pollen, a quick look at ancient Georgian culture is quite convincing. Wine was and is a part of everyone’s life, used to celebrate life, death and everything in between. So it only makes sense that something so imbedded into their culture would have such a timeline. The ancient clay jars that sparked this discovery are quite similar to the qvevri clay jars that Georgians are still using to this very day. 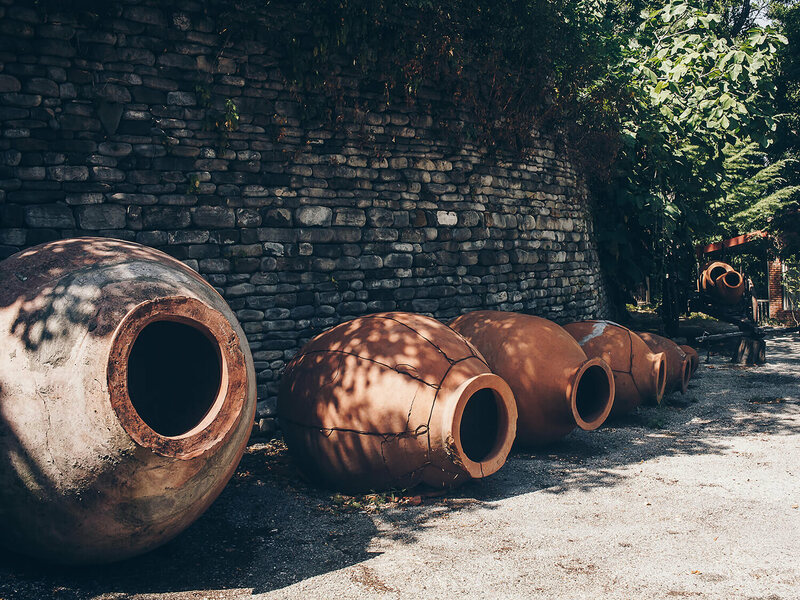 The qvevri is simply a modern take on these old jars that are said to hold up to 400 bottles of wine. Prior to this discovery, Iran’s Zagros Mountains housed the earliest evidence, dating back to 5400 – 5000 B.C. Imagine how the ancient Georgians would react to today’s wine technologies. Apart from temperature-controlled tanks and access to the finest French oak barrels, what about wine preservation systems and gadgets? Of course we have no clue about the quality of those early wines, but researchers predict it was rustic, but fruity. Imagine if they knew about the power of argon gas and innovative sealing technologies. We can’t help but think that something like zzysh® would have been as relevant then as it is today. Eight thousand years ago or two days ago, savoring a sip, a glass, or more has always been a part of our lives. And now we can ensure that a wine will remain just as good as the first pour, even weeks later. So thanks to Georgia, we have wine. Thanks to zzysh®, we can savor every drop of it.